A quick and handy guide to point you to using the American Psychological Association's Style for writing in the Biomedical Sciences. When writing, students are required to cite from where and whom they get their information. Citing helps you develop and synthesize the information that you have read by always compiling academic information on the subject of your interest, and giving due credit to those that you have consulted. There are many different style guides used to intellectually and honestly give fair credit; however, this campus uses the American Psychological Association's (APA) style. One copy of the APA Style Manual is available as a reference in the campus library. You are welcome to schedule an appointment with library staff to help you review your paper to ensure conformity. We also are here to help you with the research process and searching. Schedule an appointment with a librarian today. This is the official blog companion to the Publication Manual of the American Psychological Association, Sixth Edition. The site is maintained by experts who are familiar with APA Style and use it daily. This is a great place to post those odd questions that may not be answered in the manual. You can use the search button at the top of the page to locate a topic of interest. 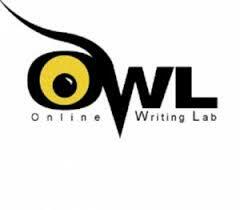 This site is maintained by the writing lab at Purdue University. This is a great site for reviewing the basics of writing in APA. YouTube video on formatting APA using Microsoft Word. From here you can link to several quick- start tutorials.